This is one of the larger member of the Apodidae family. 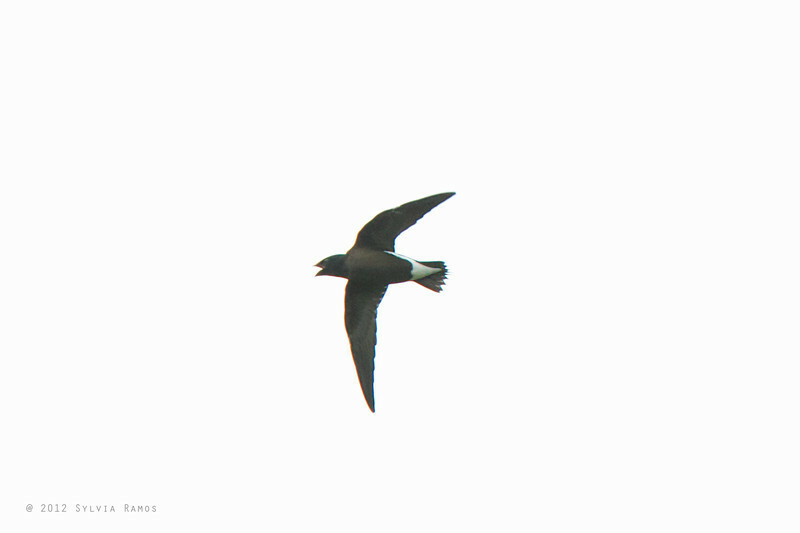 It is slightly smaller than the more common Purple Needletail. Like the Purple Needletail, it has a distinctive white horseshoe pattern on its underside and "needles" on its tail. The Purple Needletail has white lores while the Brown-backed Needletail is brown all over. These are speedy birds and according to the Kennedy guide "are considered by some to have the fastest average flying speed of any bird". The birds we photographed were a group of about 15 individuals that were continuously circling over a grassy field hawking insects.